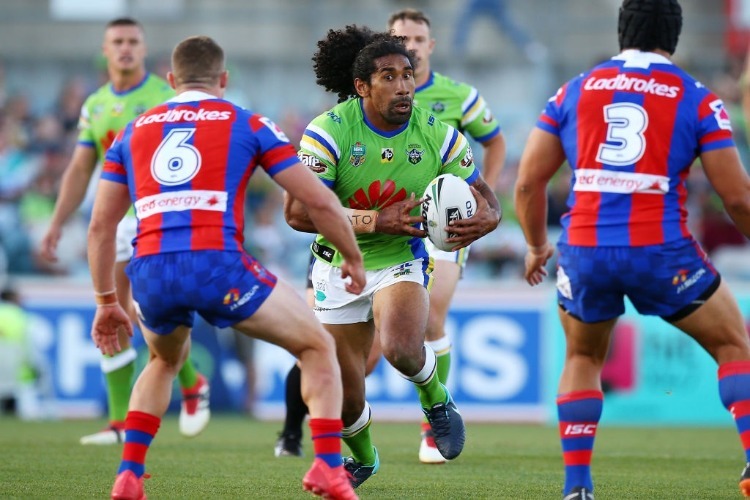 Known as one of the NRL's nice guys, Canberra veteran Sia Soliola says only strong punishment will teach players to behave better off the field. The ARL Commission has demanded an end to the plague of off-field scandals after being forced to deliver a life ban to Ben Barba. The game has lurched from one crisis to the next during a disastrous off-season, leaving administrators counting the damage to the NRL's reputation. On a day when Canterbury pair Dylan Napa and Adam Elliott broke their silence on having fallen from grace, player misbehaviour was at the top of the agenda as the independent commission met at Rugby League Central. The ARLC had already given CEO Todd Greenberg licence to wield a larger stick, as seen in the precedent set by Barba's banishment. ARLC chairman Peter Beattie said more needed to be done by all of the game's stakeholders to curb the trend of damaging headlines. "As a step, we have asked the NRL leadership team to work with clubs, senior players and the (Rugby League Players Association) to take immediate steps to reduce the integrity-related issues we have seen over the last few months," Beattie said. "The responsibility for delivering this improvement rests with players, clubs and the NRL." Barba's good mate and former Brisbane great Justin Hodges said while it was a sad situation, the NRL could not tolerate violence against women. Canberra veteran Sia Soliola, one of the game's leading role models, said Greenberg had made the right call. Players were warned before the Christmas break there would be drastic consequences for misbehaving and Soliola has applauded the game's governing boy for sticking to its word. "The only way people learn is by knowing what boundaries there are," he said. "Collectively, as a game, we've got to protect the game first and that's what the mindset should be. "Not only do fans and ourselves lose a quality player but the game misses out. "If we switch our mindsets a little bit and just think about what we're hurting; I think that will change things a little bit." Soliola, who helps feed the homeless every Monday and recently drove a distraught stranger around the streets to help her look for stolen belongings last year, shaved off his trademark locks for charity in November.